Facebook is one of the best way to get traffic to your blog or Website, Since there are many active visitors on Facebook. Facebook Group is one of the place where friends all over the world which is according to your niche means there are group for tech Blog, some groups are for fun such as jokes etc. You should share you post in such a group where it suits your Blog niche. So today I will Show you How to Post your Blog in different Groups. Manually Sharing your Post to Different Group will take too much time hence this is a best way to share post in all group at once. This Application make it easy to share your post to different Group, Hence you don’ have to visit each and every individual group. Facebook multiple sharing app need you to login to your Facebook ID so that it can access your list of groups and you can also uncheck if you don’t want to post in specific Group. 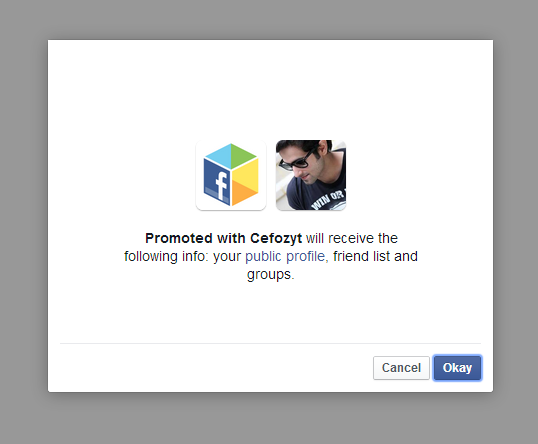 STEP 2:- Now it will asks you for permission to access this application Public Profile, friends and Groups. STEP 3:- Click Okay and you will be able to see the list of all Groups which are in your profile. 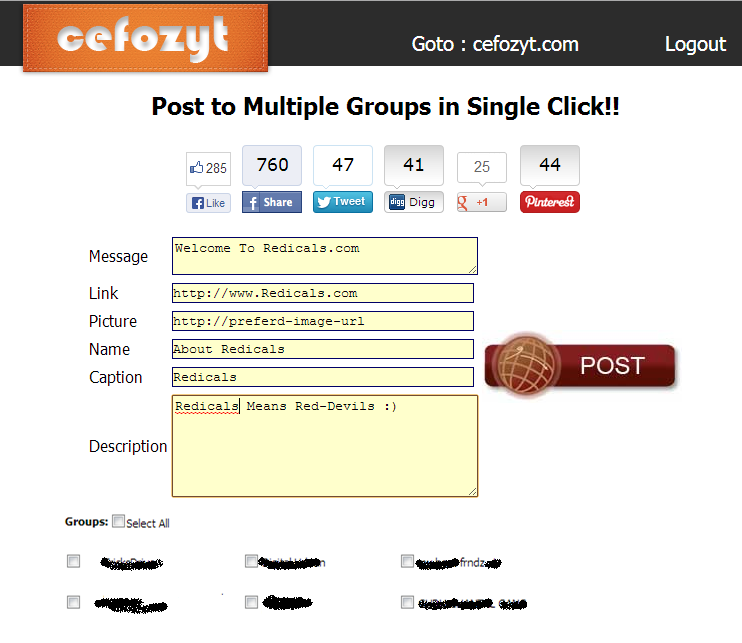 STEP 4:- Now Paste you Blog URL or any Message that you want to share in your Groups. STEP 5:- Select Groups or if you want to share it in all group then select all. STEP 6:- After selecting groups click on post . Now you have successfully Posted your Message on Groups in your Profile. Hope you have Enjoyed it. If you enjoyed the content please share it with your friends and followers.